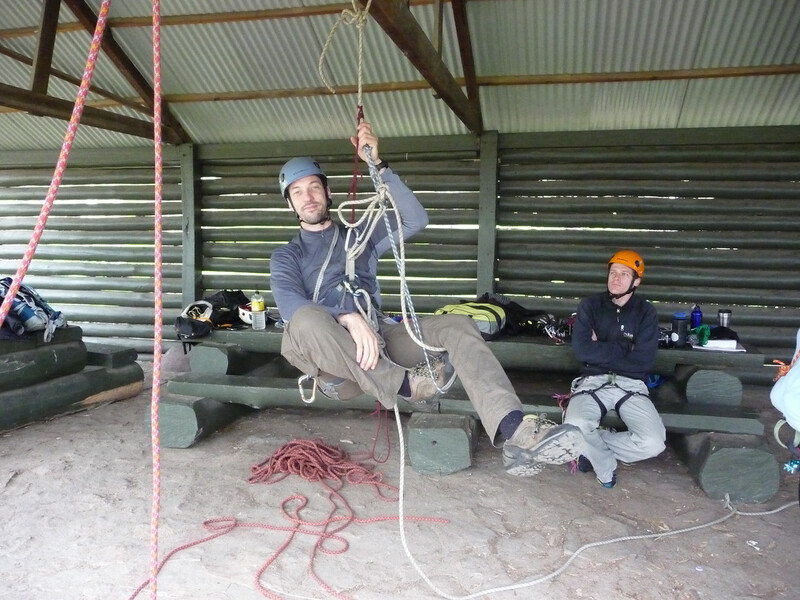 Rescue Instructor Andrew Clark hanging out in the shelter. There are 3 places available on this weekend’s course for any VCC members who are interested. Climb long enough and at one point or another getting stuck in a jam high up off the ground is inevitable: stuck ropes, a crucial piece of gear missing in action, wandering off-route into dicey terrain, or an injury that leaves a climber in need of help. This course is designed to help you deal with these types of situations. 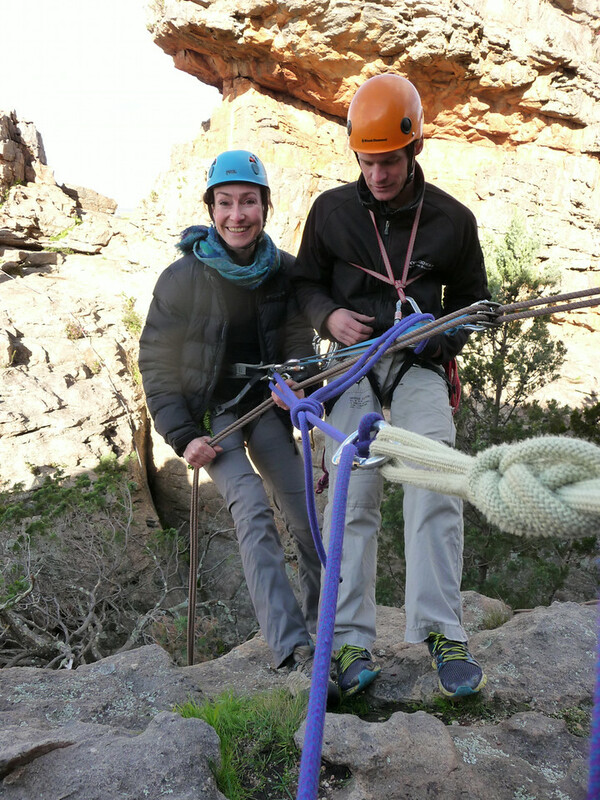 This is a very intensive ‘hands-on’ course with a ratio of one instructor per 3 participants. Able to demonstrate competency in tying figure-of-eight bight and bend, water knot, double fisherman’s and clove hitch. 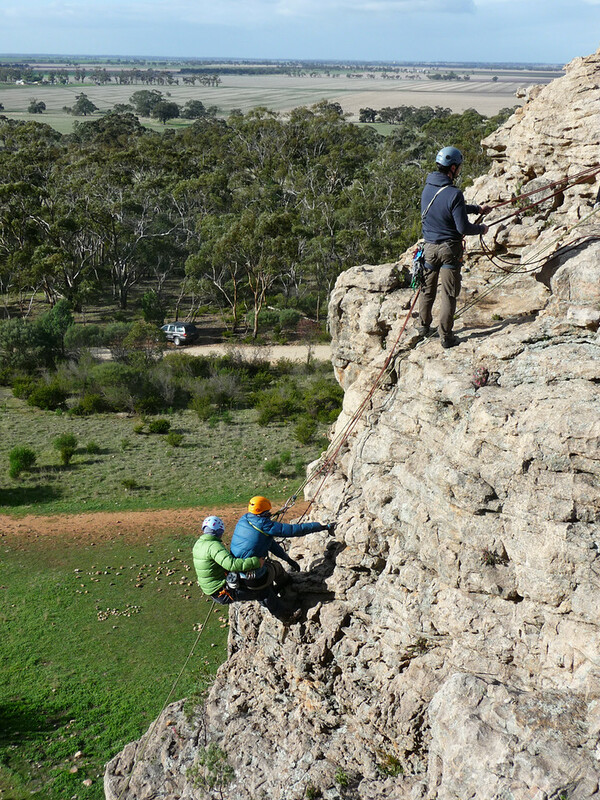 Checking out the view on a VCC Self Rescue Course. 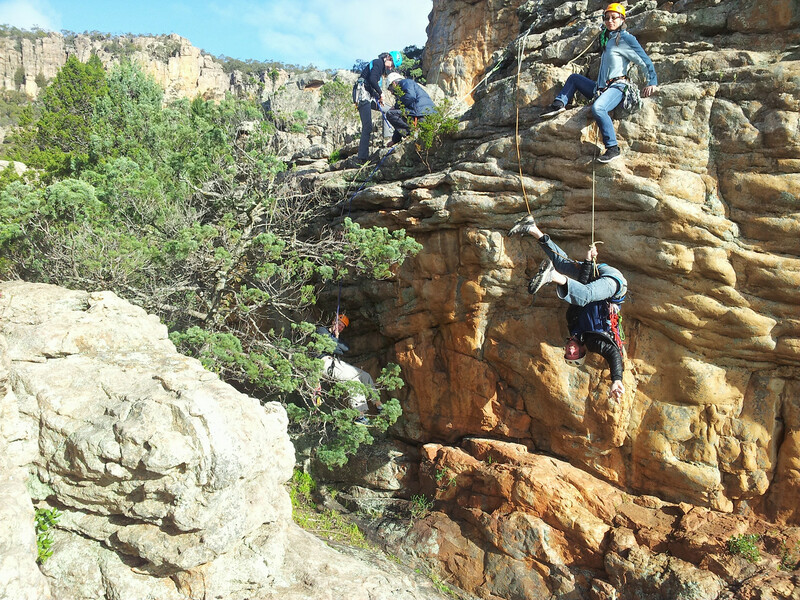 Ascending to a hurt leader (anchoring, prusik, solo, rope solo). Please contact the Trip Organiser, Michael, to register your interest. Places are very limited.